A Bespoke Blazer is an ideal companion in myriad situations from impromptu business presentations to late nights of a Gentlemen’s leisure indulgence where ties and tongues both may be loosened. Bespoke Blazers crafted by Ashish & Pawan at Knights & Lords are elegant enough to be reassuringly smart but lightweight, breathable and comfortable enough to feel like a second skin. If the archetype of a relaxed Gentleman were to be expressed as a garment, it would be a Bespoke Hand Tailored Blazer. A Tailored Blazer is easy-wearing, does not encroach on your comfort or style, but instead supports your every endeavor: a low-key hum of reassurance, the perfect wingman for the perfect Gentleman. A bespoke handcrafted custom tailored Blazer, while absolutely a seasonal item in Europe also represents a viable year-round option for the Middle Eastern resident thanks to the light weight fabric options provided by Knights & Lords such as tropical all wool fabrics and blends of wool with linen along with a construction using techniques laid out by the Savile Row Bespoke association which renders it as Feather light as a Blazer can be. 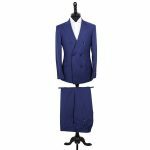 The Tailored Blazer with its colorful interior lining, light shoulder pads and the canvassing will retain the soft vestiges of a classical silhouette and consequently the ideal sweet spot between formal and informal attire will be beautifully realized. 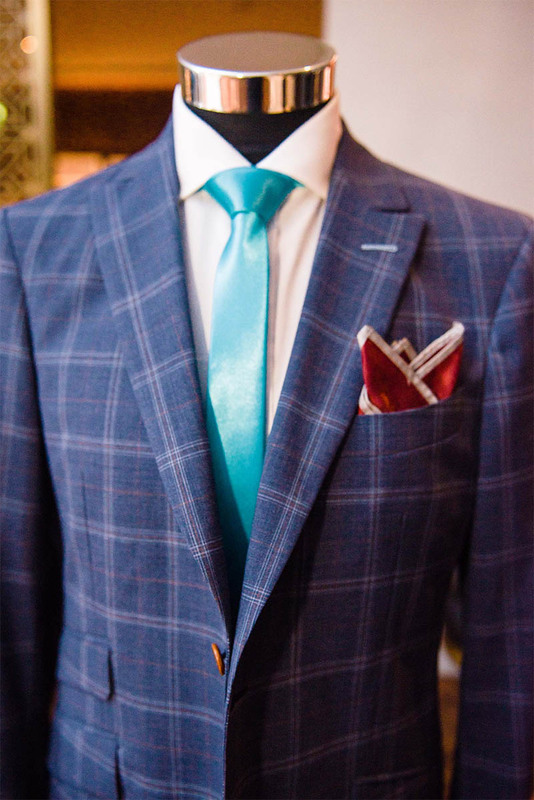 Creating the perfect balance between formal and casual through a Bespoke Blazer is actually the biggest challenge for a Bespoke Tailor requiring impeccable mastery of his craft. Minimalism requires an unparalleled level of skill and attention from a Bespoke Tailor. Pinpoint precision called for, because there is nothing to hide in a Bespoke Blazer. Dubai being a region whose sartorial leanings have usually inclined towards ostentation rather than discreet quality, the classic tailoring option practiced by Knights & Lords from Savile Row has become popular enough to be considered as a sign of growing sophistication in Dubai. Naturally the Bespoke Tailoring involved in such an accurately rendered Bespoke Blazer requires an element of patience on the part of its eventual wearer even in Dubai where instant gratification is almost par the course. An absolute staple in every Gentleman’s wardrobe, a Bespoke Blazer brings confidence of underscoring your innate poise without ever impinging on your sense of ease.